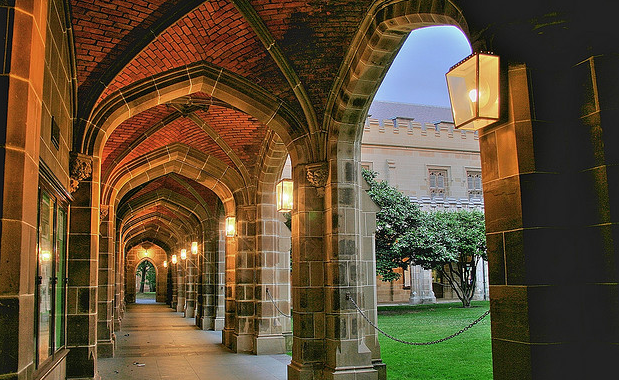 University ranking organisation QS has released its annual World University Rankings for 2015, covering 36 subjects including architecture, and Australian faculties did surprisingly well. The rankings, which sorting universities based on “academic reputation, employer reputation and research impact,” claims to explore the top 800 universities in the world. Australian architecture faculties hit above their weight, with 11 Australian universities making the Top 100 worldwide. QS Ranked Australian architecture faculties in the following order. QS said the top architecture school in the world was the Massachusetts Institute of Technology, followed by the The Bartlett School of Architecture at University College London. Delft University of Technology in the Netherlands, University of California, Berkeley and Harvard University followed. [urbanRelatedPost][/urbanRelatedPost]The results were particularly impressive because the University of Melbourne (pictured above), the University of Sydney and the University of New South Wales were rated as better places to study architecture than most of the Ivy League universities including Cornell University, University of Pennsylvania, Princeton University, and Yale. According to QS, the primary aim of the QS World University Rankings is to help students make informed comparisons between their international study options. Since first being compiled in 2004, the rankings have expanded to feature more than 800 universities around the world, more than 3,000 assessed. The top 400 universities are given individual ranking positions, and after this universities are placed within a group, starting from 401-410, up to 701+. With faculties, only the top 50 are given individual rankings. The rankings compare these top 800 universities across four broad areas of interest to prospective students: research, teaching, employability and international outlook.